• change the presentation date of the NPERS and Nebraska Investment Council annual reports to the Legislature from March 31 to April 10, beginning in 2020. Finally, the bill would grant the Class V School Employees Retirement Plan employer and its board of trustees the same exclusion from the state’s public records law that applies to all other plans administered by the PERB. The only member information that could be released would be a member’s name and dates of plan participation. 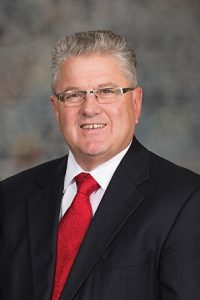 North Platte Sen. Mike Groene expressed concern that the public records exemption could limit the state’s ability to gain information about the Class V plan, which has struggled in recent years. 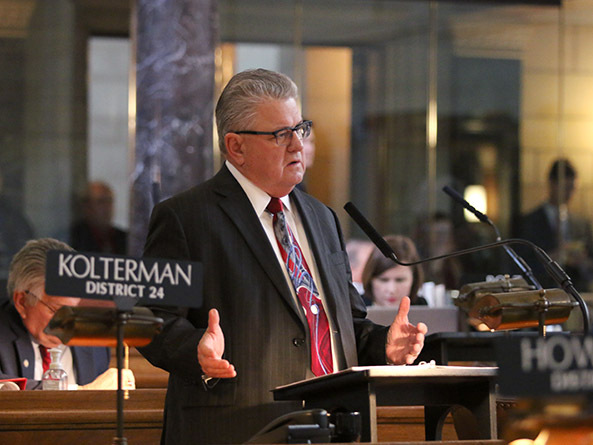 Kolterman said he understood the concerns, but said the bill simply would bring the Class V plan into alignment with all the other state plans regarding the privacy of members’ data. “There are certain things that we think ought to be privileged information,” he said. Following adoption of a technical committee amendment on a 40-1 vote, the bill was advanced to select file 42-0.